Taking a giant step away from my situations in life, allowed me the distance needed to obtain a different perspective. Realizing that I not only reached a stumbling block, it became clear to me that I, myself largely created that stumbling block. Feeling overly emotional, my mindset was responsible for preventing me from achieving personal goals I was reaching to achieve. Emotionally I was at an all-time low, stress levels reigned supreme, and my health and wellness were challenged. Admitting that I allowed emotions to negatively affect my quality of life was my first step. Changing and redirecting my internal focus became top priority for external successes. 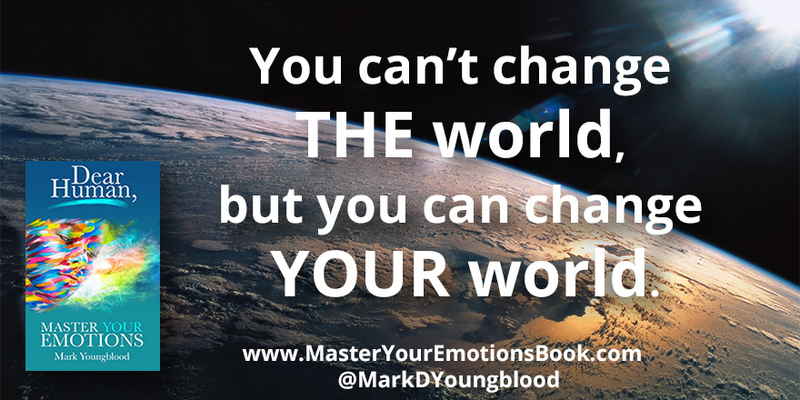 Dear Human, Master Your Emotions, written by author Mark Youngblood, is a powerful tool to empower yourself with emotional mastery. 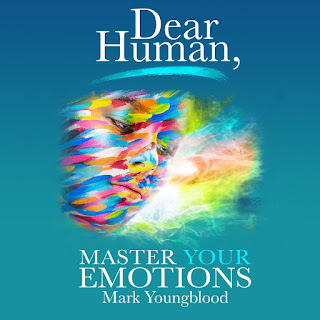 Thank you to Mark Youngblood and the promotional team for Dear Human, Master Your Emotions for the courtesy of providing an advanced reader copy for editorial content purposes. The excitement of drama works for entertainment value in theaters, in movies and on TV, however, it serves little purpose in our day-to-day living. Acclaimed author Mark Youngblood explains actionable ways to for us to best gain emotional mastery in his new book, Dear Human, Master Your Emotions. 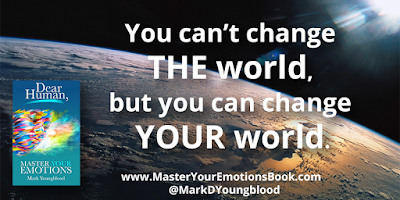 Do you believe that you have the power to change your world? Not surprisingly, your answer to this pivotal question has the potential for altering your path in life. The power to fulfill our potential for better opportunities exists within each one of us. 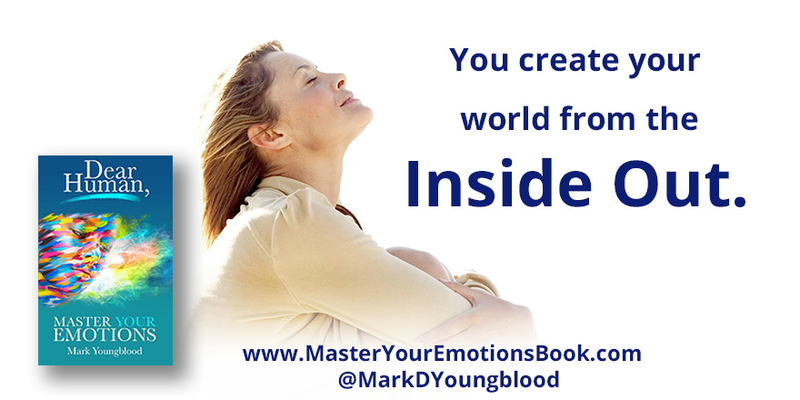 Implementing insight, strategies and life skills, Dear Human, Master Your Emotions equips us with the necessary tools for transforming our lives. Granting permission for negative emotions to gain control of our lives facilitates "suppression, destructive interpersonal drama, addiction, compulsions, and ultimately to suicide," according to Youngblood. "Dear Human, Master Your Emotions is a user-friendly guide designed to help readers gain greater understanding and acceptance of their emotions by learning how to take charge of them. Embracing all of these emotions and processing them in a healthy way will not only transform an individual life, it can lead to the betterment of society in general." 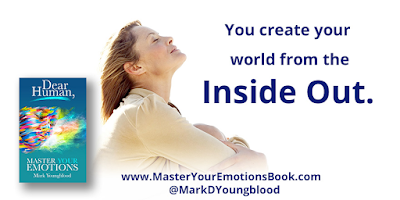 Mark Youngblood is a lifelong student, teacher, and facilitator of Inner Mastery. His life purpose is to elevate human consciousness and promote spiritual growth, individually and collectively. He founded his company, Inner Mastery, Inc., more than 20 years ago to promote personal and organizational transformation. His outreach presently includes executive coaching with top management, the Inner Mastery online learning community, Dear Human books, public speaking, and special workshops.